TEXAS born and proud to be representing the Dallas/Fort Worth area by finding the right residential home or investment property that meets all of your needs! Thomas was raised in Houston, Texas and later transitioned to Oklahoma when he earned an athletic scholarship to attend Rogers State University where he played on the University’s golf team. After two years at Rogers State, he decided to transfer to the University of Oklahoma and join the Michael F. Price College of Business. After graduating, Thomas made the decision to begin a career in residential real estate. His passion for real estate stated as he grew up watching his mother, a successful Realtor in Houston, develop many relationships in the surrounding community. Thomas knew he also wanted to be a realtor, build his own relationships and show people all the Texas housing market has to offer. His desire to help people coupled with his knowledge of the business sets him apart from the rest! He enjoys helping people transition to the next stage of their life — one home at a time! Thomas’s tenacity, honesty, and hard work are just some of the traits he has developed that transition over to his real estate career. In his free time, Thomas enjoys running with his dog, keeping up with his favorite sports teams, and spending some quality time on the golf range. Thomas looks forward to meeting new clients, servicing current clients and of course.......playing some golf! 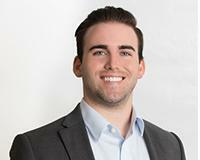 After graduating, Thomas made the decision to begin a career in residential real estate. His passion for real estate stated as he grew up watching his mother, a successful Realtor in Houston, develop many relationships i n the surrounding community. Thomas knew he also wanted to be a realtor, build his own relationships and show people all the Texas housing market has to offer. His desire to help people coupled with his knowledge of the business sets him apart from the rest! He enjoys helping people transition to the next stage of their life — one home at a time! Thomas’s tenacity, honesty, and hard work are just some of the traits he has developed that transition over to his real estate career.